Stuart Maconie discusses Adventure on the High Teas. Stuart Maconie signs Just Biggins. Join us for a three course meal, including a glass of wine or a soft drink, and coffee, and meet guest speakers Christopher Biggins and Stuart Maconie, who will be happy to sign their books for you. 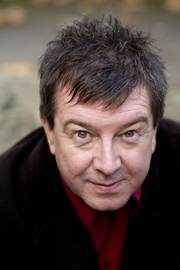 Stuart Maconie is currently considered a "single author." If one or more works are by a distinct, homonymous authors, go ahead and split the author. Stuart Maconie is composed of 3 names. You can examine and separate out names.